Weekend of Invitation founder Michael Harvey will be bringing his roadshow to churches across Scotland between 22 - 25 October. The author and popular public speaker has been supporting congregations for the last 14 years, helping them reach out into their community networks to share the Christian message of love and to invite people to join them at events and services. Building on what was previously Back to Church Sunday, Weekend of Invitation is now an annual event each June with churches across the UK take part. The goal is to help churches grow and flourish. Mr Harvey said while it can be challenging to invite someone along to church, the results make it worthwhile. "It's hard but if you push through the barrier there's some incredible things on the other side", he said. "God nudges us into doing things, then we take a step of faith and carry them out. "Everyone's invitation is different because God is doing something with every person. "Whether the person is saying yes or no - leave it up to God." Mr Harvey sees falling congregation numbers as the key challenge of our secular times. Churches can no longer expect people to join their congregations without any encouragement, he said. "Most churches call themselves welcoming - I've not met a church that doesn't. "Starbucks is welcoming. Costa is welcoming. "It's important but it's not everything. 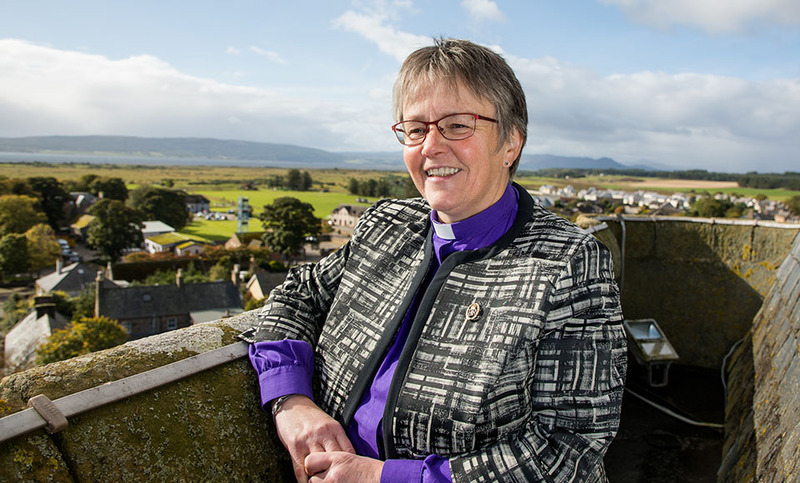 "I want to try to get churches to be welcoming and inviting. "I'm trying to understand why we don't invite and encourage the possibility of it." Why shouldn't invitation be hard? Mr Harvey argues that overcoming obstacles is part of the process of invitation: "Why shouldn't it be hard? ", he asks. "We are a generation that thinks everything is easy. "Everybody knows the times when you have to struggle are when you grow as an individual - the times where something within you has changed. "In Paul's letter to the Romans it says "I glory in suffering" - that's not easy. "But suffering produces perseverance, perseverance produces character, character produces hope. "We've moved away from Christianity as something which helps you to become the person you're meant to be." 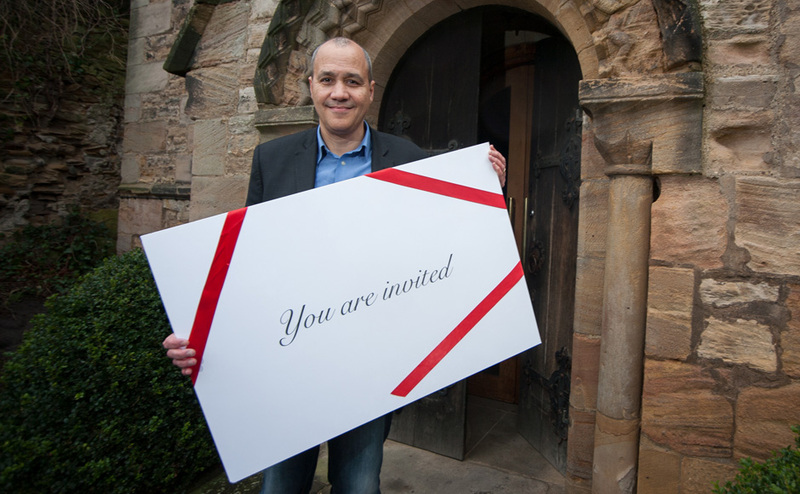 Having worked with diverse denominations in different places, Mr Harvey feels there are some unique barriers to invitation in Scotland. "There's a word that Scottish people use which I don't hear elsewhere and that's reticent," he said. "No one else uses it. That's the culture in Scotland." 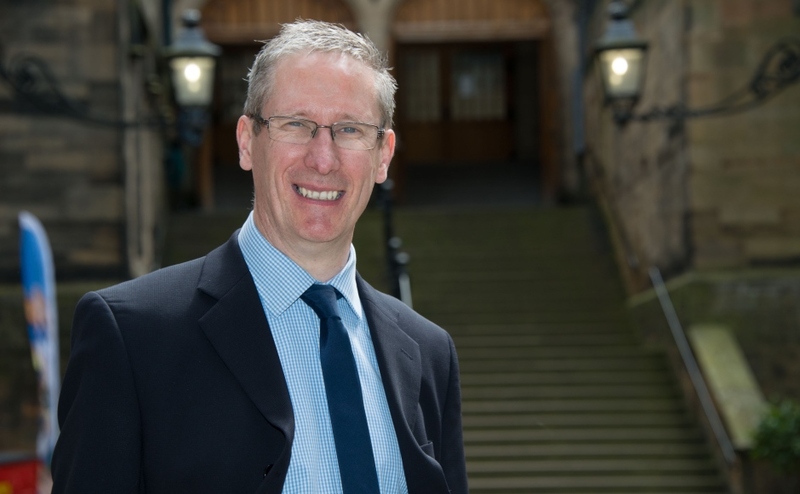 Mr Harvey will be running free roadshows in Scotland to support churches in being more actively invitational, which churches can sign up for and he hopes will be "eye-opening". "The aim will be for people to go away encourage and feeling like they have tools that they can use straight away", he says. "We'll be looking at the ways of thinking which are obvious but perhaps not as obvious as we think they are. It's recommended that churches should send more than one person along for support. Congregations can also opt to sign-up to be mentored by Mr Harvey. Rev Calum Stark, minister at Bellshill West in Hamilton, said his congregation has grown spiritually and in numbers through developing a culture of invitation. "As a church we have taken steps in moving into the invitation process following the last road show headed up by Michael," he said. 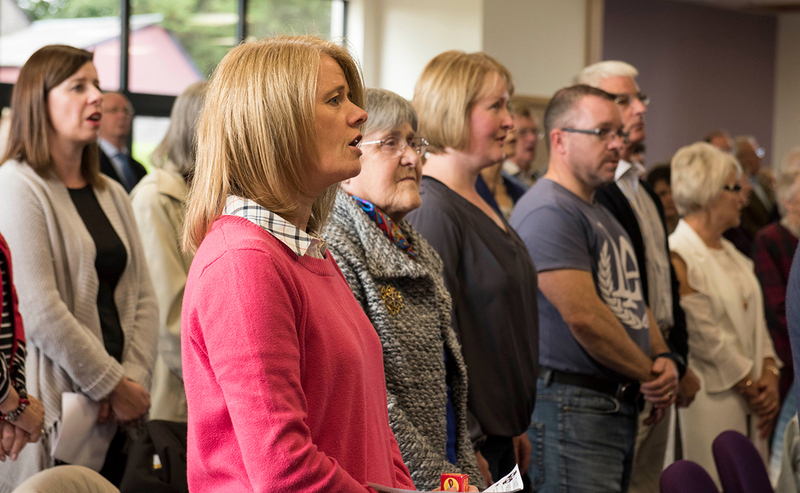 "Since then we have seen a number of new faces join us in worship and perhaps even more significantly, have seen members of the congregation come alive in their prayer life. "We have found that this has strengthened relationships and has led to far more spiritual conversations, sharing and prayer." Places are free but booking is essential. Sign up to attend a seminar.